Once the flagship production of G&F Productions Entertainment Spotlight featured many guest. The Production started in Farmington Hills Michigan as an internship concept show. After spending days seeking the production crew for the first show which featured two other shows that aired on Cable 12, Dance With Virginia and anther local verity program, the show grew with guest such as ICP then known as Inter City Clown Posse but is now known as Insane Clown Posse. The production faded after a low 12 shows. The final show was a magic show featuring Jon Ross. 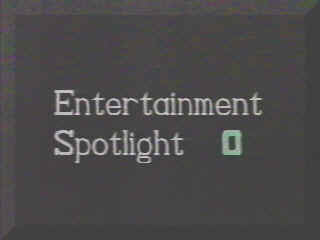 We are very proud that Entertainment Spotlight served the community during its time. Executive Producers : David J. Fritsch & Darnell D. Garrison. Producers: Todd Melvin, Monya C. Johnson-Cosby, Leslie Rochelle, LaGwynna Scott. Todd Melvin, Leslie Rochelle & LaGwynna Scott. S.W.O.C.C. (Southwestern Oakland Cable Commission) Studios, Farmington Hills Michigan. Barden Cablevision (Comcast) of Inkster.